The ground-floor commercial space in the Home Tower Condominium just off Young Circle in downtown Hollywood has been targeted for foreclosure. Miami-based Pacific National Bank filed an amended complaint demanding foreclosure on Sept. 23 against Hart District Ltd. 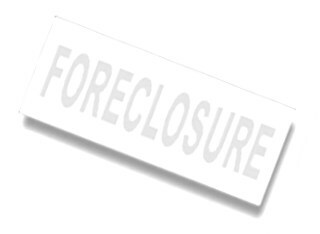 The lawsuit was filed in 2012 as a contract and debt complaint, not a foreclosure. The case was on hold for several years during a loan modification agreement. The amended complaint claims that Hart District went into default in September 2015 and owes $5.78 million in principal on the mortgage. The loan was signed by Gary D. Posner of Aventura, but he was not named in the complaint. Hart District’s attorney, Joseph Huss in Fort Lauderdale, couldn’t immediately be reached for comment. PNB wants to seize four commercial units totaling 36,966 square feet in the base of the condo building at 1720 Harrison Street. It was built in 1964. However, the space now belongs to the Home Towers Condominium Association after litigation stretching back more than a decade. In 2003, Hart District acquired the property for $4 million. According to PNB’s complaint, the company planned to renovate the property and put a charter school there. In 2004, the condo association filed a complaint against Hart District alleging that the renovations should not be allowed because the developer didn’t secure the 100 percent approval of condo owners. This resulted in an injunction that same year halting work on the space. In 2005 with the litigation unresolved, PNB granted a $6.7 million mortgage to Hart District for the property. Three years later, an arbitrator ruled in favor of the condo association that the developer’s work was improper. Hart District was required to restore the common areas to their original condition and build a sprinkler system for the building. The condo association filed a lien on Hart District’s units and then foreclosed on them in 2013 for nonpayment of those liens. PNB’s complaint states that its mortgage is superior to the condo association’s claim and so it should be awarded ownership of the four units. Miami attorney David S. Garbett, who represents PNB in the lawsuit, couldn’t immediately be reached for comment. PNB had $1.74 million in noncurrent loans on June 30. Banks often write down the value of loans that are placed in noncurrent status.